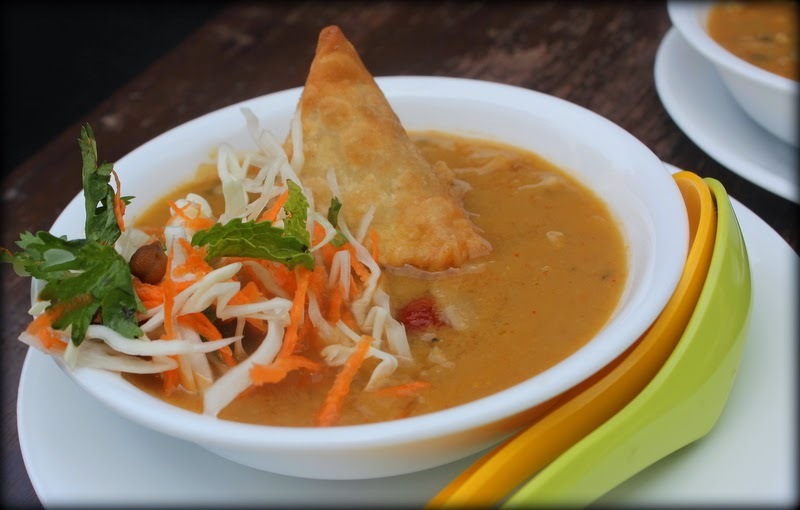 With the winter chills slowly seeping in, its time to warm ourselves with some delicious mouth-watering soups to refresh up your souls. Heat the oil in a small stockpot. Add the onions and sauté for about 2 minutes, until softened and translucent. Add the garlic and sauté for another minute. Add the cumin, red pepper flakes, and beans and sauté for another 3 minutes. If the mixture sticks to the bottom of the pot, you can deglaze it with a couple of splashes of wine. Add the tomatoes and let simmer until they’re cooked through, about 10 minutes. While the soup simmers, make the bread bowls by slicing the tops off the bread bowls or rolls and scooping out the dough, removing as much as possible. Save to make breadcrumbs for another recipe. Add the broth and lime juice and blend in the pot with an immersion blender. If you don’t have an immersion blender, transfer the contents of the pot to a standard blender. Let the mixture cool for a few minutes (you don’t want the steam to pop off the blender’s lid—that would be a big, hot mess!) and blend until smooth. Add the salt and pepper. 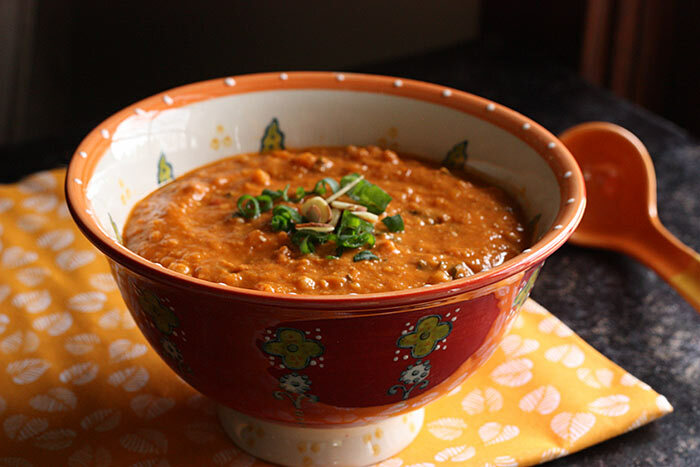 If you used an immersion blender, continue to simmer the soup for a few minutes. 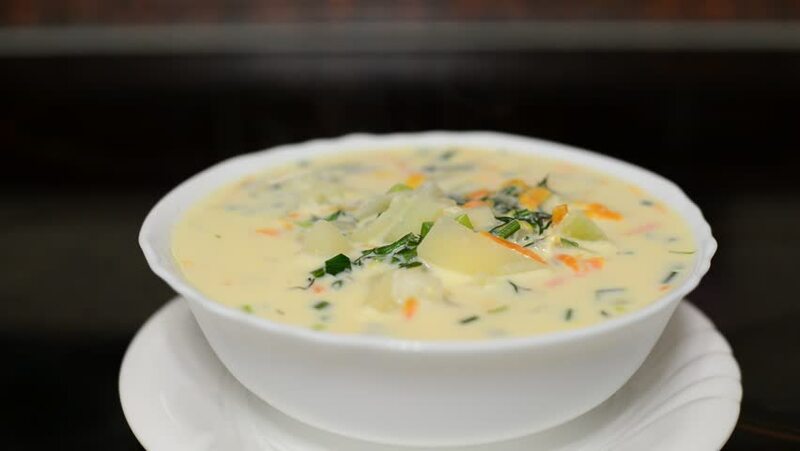 If you used a standard blender, pour the soup back into the pot over low heat and simmer for a few minutes. 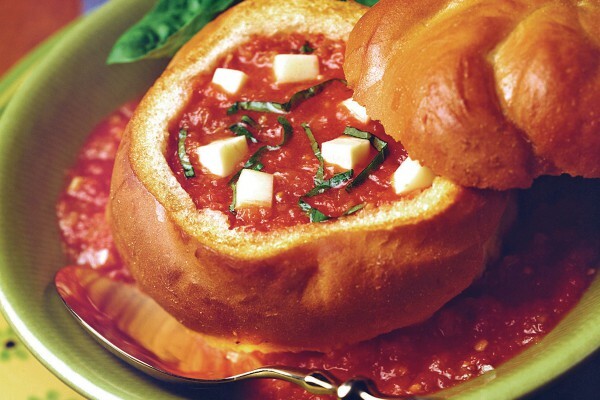 Ladle the soup into each bread bowl. Garnish with the parsley and serve. In a large saucepan, add the potatoes along with water to cover them by a few inches. Bring to a boil, and cook until the potatoes are fork tender. Rinse and drain the cooked potatoes. Meanwhile, warm the coconut oil over medium heat in a skillet. Add the chilis, garlic, and onion, and stir. Cook for 2-3 minutes, until softened slightly. Add all of the ingredients for the spice blend, and stir. Continue stirring frequently, cooking at medium heat for about 2 more minutes, until the spices are fragrant and slightly browned. Remove from the heat, and remove the mixture from the pan immediately. Add to a blender or food processor, and blend until mostly smooth. Add the cooked potatoes to the blender, along with as much of the water or broth as needed to blend. Blend until smooth (or leave slightly chunky if you prefer). Transfer the mixture to the saucepan, add the rest of the water or broth, the (optional) cocnout milk, and the lime juice. Bring to a gentle boil, then reduce to a simmer. Simmer for 10-15 minutes, or until the flavors have come together to your liking. Stir in the cooked beans and adjust seasoning as desired. Serve hot, topped with fresh cilantro, and chutney (if using/available). Blend from low to high until the mixture is fluffy and smooth. Add the salt and pepper to taste – about a pinch of each should do it! Add the celery, carrots, broccoli, sweet potato, and squash, one by one, as you chop them. Continue to sauté over medium heat, stirring every once and a while so it doesn’t stick to the bottom. Turn off heat and remove lid. Allow the soup to cool slightly for 5 minutes or so. After cooling, carefully scoop the soup into a blender (you’ll have to do this in a couple batches most likely) and add in the nutritional yeast and optional cayenne, if using. Carefully blend the mixture with the lid ajar (to allow heat to escape), starting at a low speed and increasing the speed until smooth. Season with salt and pepper, to taste. Alternatively, you can use an immersion blender. Transfer leftovers into jars and allow to cool before securing the lid and placing in the fridge. The soup should stay fresh for a week in the fridge. In a medium oven or stock pot, bring the broth to a boil. Add the onion, ginger, garlic and salt. Cook on medium-low heat for 20 minutes. 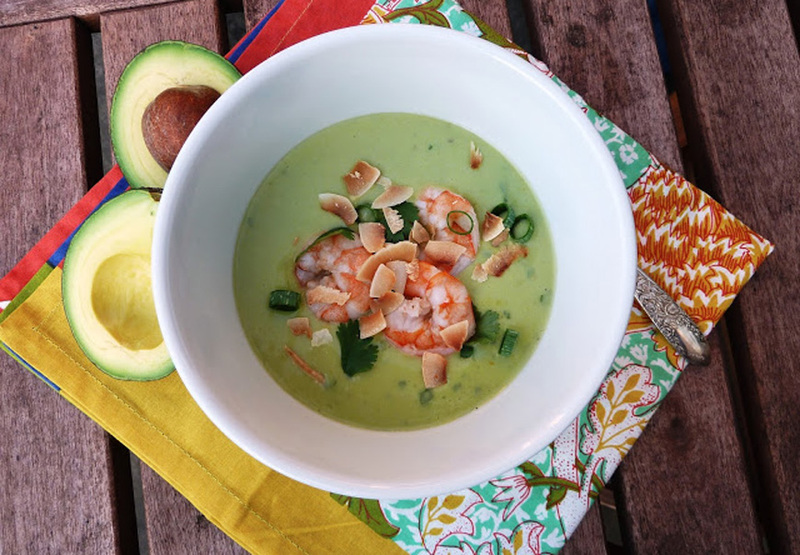 Get set and treat yourself and your family with these delicious healthy soups.